I grant you, this isn't really a 'recipe' but it is a blooming delicious lunch and as I am trying to build a place for all our favourite recipes this just had to be on here! If you use a decent multigrain bread, it also works out quite healthy and it's actually one of your 5-a-day! T and I enjoy this for lunch sometimes, you can pimp it up a bit with some fancy oil drizzled over the top - we particularly like basil oil. Or sprinkled with toasted pine nuts or cheese! 1. Bring the tomatoes to the boil in a small pan. 2. Add tomato puree, herbs and honey and continue to boil for a few minutes until liquid starts to reduce. 4. 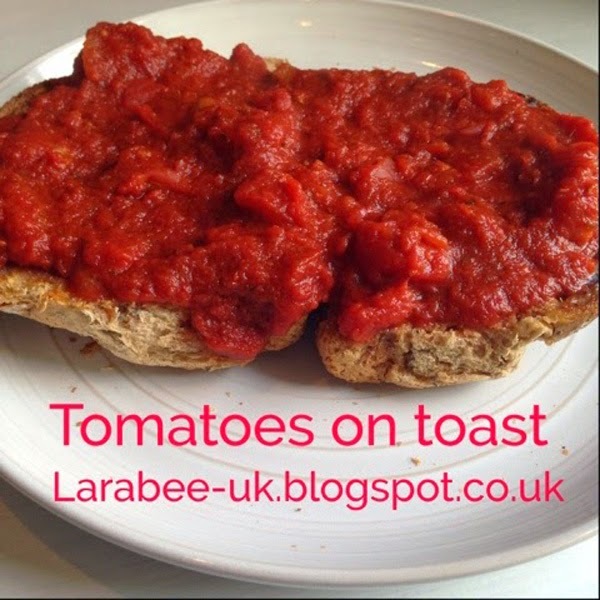 Pour the reduced tomatoes over the bread and serve.